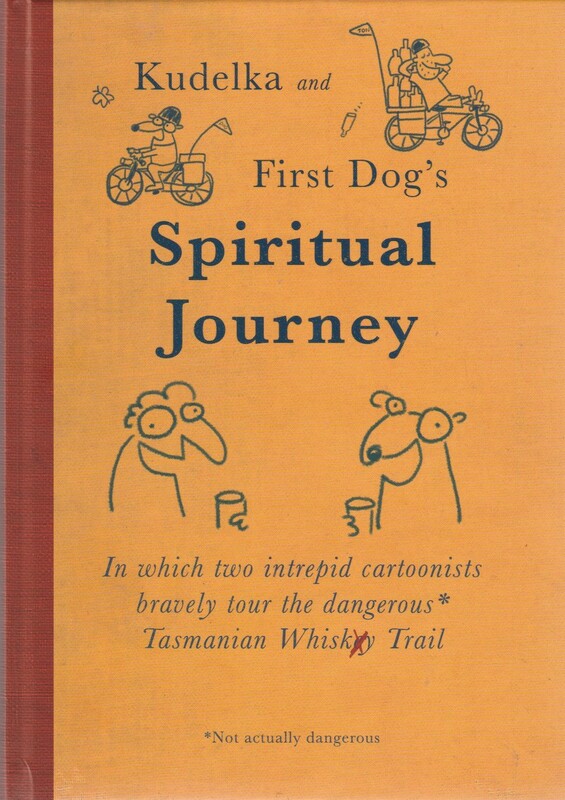 Kudelka and First Dog's Spiritual Journey - In which two intrepid cartoonists bravely tour the dangerous Tasmanian Whisky Trail. The explosive collected diaries of Jon Kudelka and First Dog on the Moon recounting the first safari of the Global Electrovelocipeded Whisky Appreciation National Treasure Gonzo Cartoonist Other People's Money Expeditionary Society. There is whisky, bickering and also cheese.